The king of pant liners, with some Dutch ingenuity! 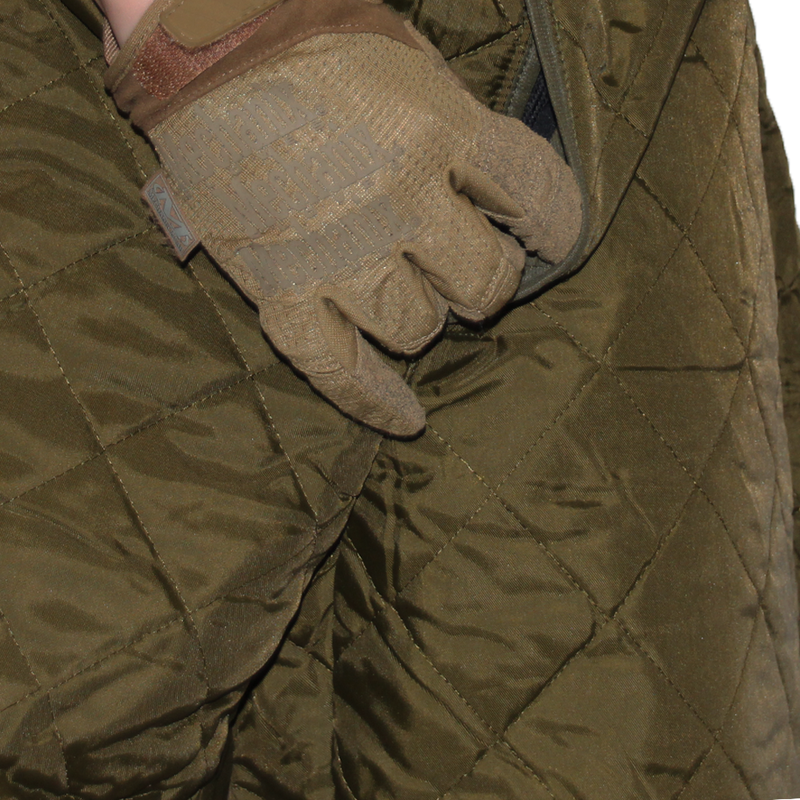 These quilted nylon blend "Chinese fighting trousers" are intended to be worn as a liner underneath larger pants as an insulating layer. 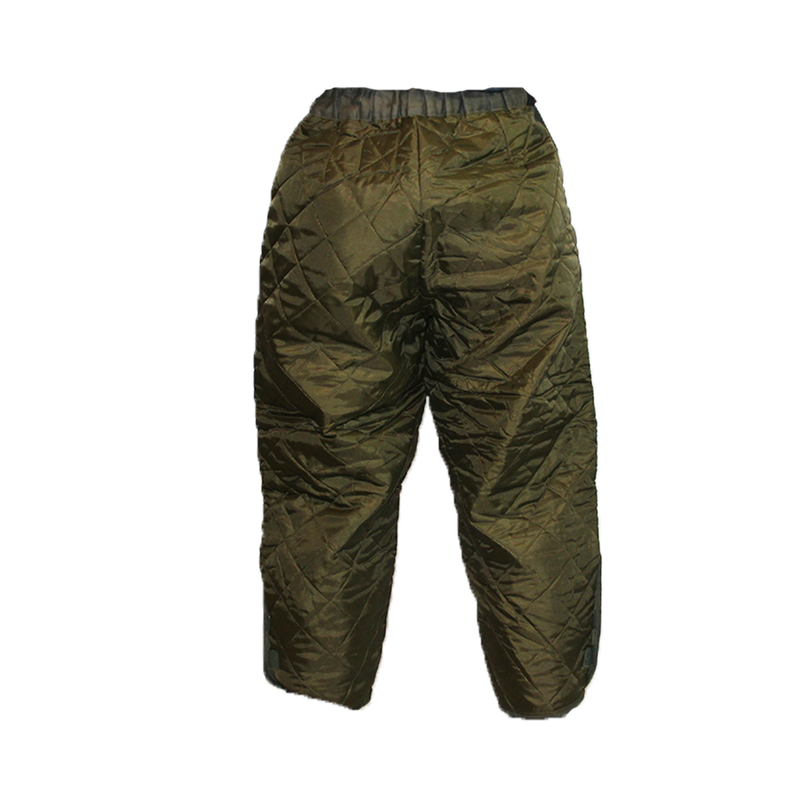 The have an intentionally short cut inseam, and stretch quite a bit, allowing the pant to be extremely adaptable to the wearer. 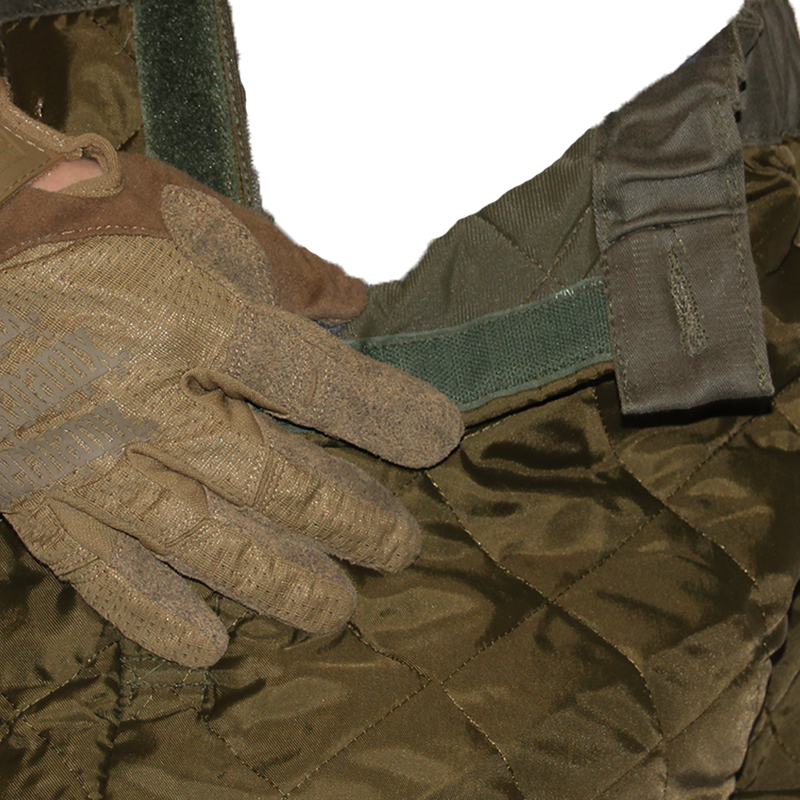 They feature an elasticated waist, side velcro closer with button reinforcement, velcro leg openings, and an open fly for breathability. 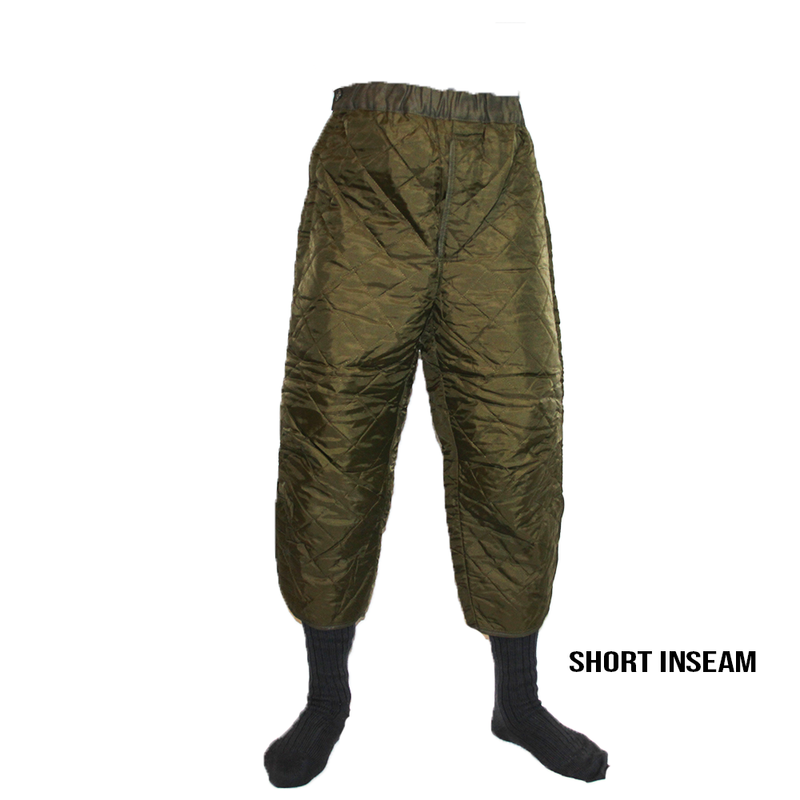 Surprisingly, these "Chinese Fighting Trousers" also happen to make exceptionally good pajama pants, since it's like wearing a woobie on your legs! 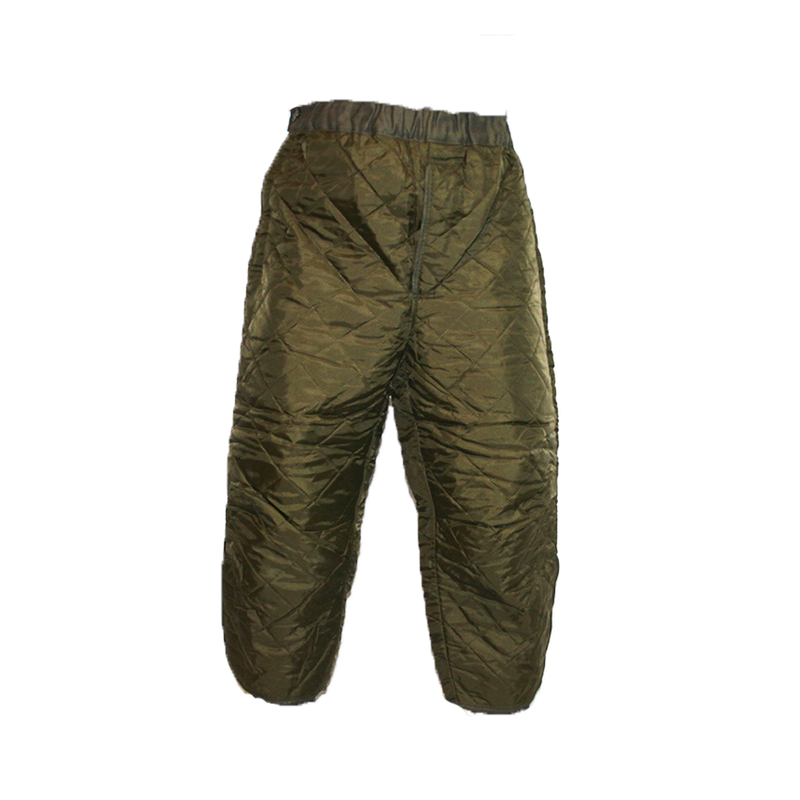 Overall, they are an awesome piece of field kit, intended to work well in harsh winter conditions with large boots while also being a great piece of homewear for the milsurp splerg!